Sous vide is a popular, modern cooking technique that is slowly becoming more and more mainstream. Sous Vide is no longer exclusive for culinary artists and fancy, top of the line chefs with fully equipped kitchens. The popularity of this cooking style is due to its delicious flavors and easy, effortless style. At first, sous vide can sound intimidating. While it does take a short acclimation period to understand how it works and how it varies from traditional cooking, once understood, this is a wonderful alternative. The equipment may seem overwhelming; however, the vacuum sealing and safety protocols are easy enough to learn. The basics are easily covered after a few first sous vide dishes, and after that, the only requirement is a little forethought and planning since sous vide takes a significant amount of time to cook meat. This style of cooking is not for the impatient, but the flavor is most definitely worth the extra time. While every beginner has their own method for learning a new cooking style, this article will help unravel the basic process, the safety guidelines and some recommendations for you to begin sous vide cooking at home! The process is quite simple. You choose the temperature of the food, for example, 125°F-130°F for a medium, medium-rare cut of steak. You heat your water up to that temperature before sealing your food in a vacuum bag and placing it in the water. The food then reaches that temperature of water. For meats that are not traditionally tender (like briskets, ribs and pot roasts), you can cook your dish at that temperature all the way until it has been completely tenderized. This process usually takes up to 2-3 days, so this is not for the impatient cook! To add extra flavor, you can sear your dish for a nice warm, hearty flavor. While temperature comes down to preference, there are some rules of thumb temperatures for sous vide dishes. Giving you exact control over dish temperature can be great or intimidating depending on your confidence level. To start, it is best to work with a wide range of approximate ranges instead of exacting numbers.See our Sous Vide Time and Temperature Chart. Let&apos;s compare a pot roast to a medium-rare or well-done steak. The steak is pink, juicy and still chewy enough. The pot roast is brown, a little bit on the drier side, and is extremely tender on the inside. Steak doneness all comes down to preference, however, they all taste somewhat the same because they were cooked at similar temperatures but for more or less time (compared to the pot roast). For medium-rare foods, the range is from 130°F to 139°F. If your sous vide machine, is set within that range, your foods will be medium-rare. After some experience and trial and error, it will be more relevant to you to experiment with specific temperatures. However, at this stage, a degree difference of one or two will not be noticeable. To choose which temperature is best for you, consider what kind of meat you are cooking and what kind of flavor, texture and taste you are looking for. Sous vide doesn&apos;t have to be an expensive endeavor. 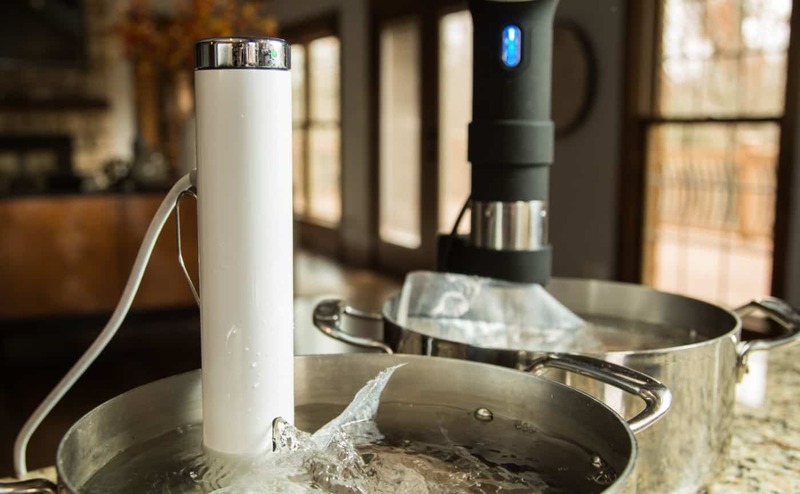 You can heat up water for sous vide cooking in a variety of different, cost-effective ways. You can use your stove and a pot or the most expensive circulators, depending on your needs. 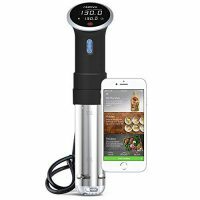 For a beginner, it is probably wise to invest in a circulator that allows you to see exactly what temperature you are cooking with. This is an important step. Be careful not to let any air inside the bag after sealing the food in. This prevents the food or juices, from leaking into your sous vide machine. 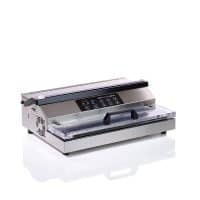 An effective way of sealing food is with a chambered vacuum, though they are typically expensive and may be unnecessary for typical at-home use. Ziploc bags work wonderfully, and are reliable, durable and strong enough to contain the meat and juices. They also stand well in high temperatures. The most important factors in considering how long to cook your food is as follows: heat the food, tenderize the food and make sure the food is safe for consumption. With sous vide, the timing of heating the food is simple and stress-free because the water bath is consistently at one temperature. It takes a little more than an hour for a well-sized 1" thick piece of meat and a little over 3 hours for a 2" thick piece of meat to fully cook through. The outside layers do not burn with sous vide, unlike what is typical for traditional cooking. The stress-free aspect of cooking with sous vide is the fact that you can accidentally go over by an hour or two and your dish will not be burnt. Fish, steaks and chicken breasts don&apos;t require tenderizing, though tougher meats do. The longer you cook with sous vide, the more tender the food is. Tenderization happens very slowly since the temperatures with sous vide are typically low, though their consistency is what helps the meat become tenderized at an even rate. For example, for a medium-rare steak, the best duration is to cook it for 2-2 ½ days. A good marker is this: the time required for cooking increases as the food gets tougher and the temperature is lower. The lower your temperature with sous vide, the longer it will take for it to fully cook through. While some might be intimidated by sous vide food safety at first, it is really quite simple and similar to many other food safety precautions. See our Sous Vide Food Safety Guide. With meats, there is something called "the danger zone" and that is a specific temperature range at which meats start to go bad. You can only have the food between 40°F and 130°F as a safe marker. With sous vide you can specifically set the temperature, and while this control will help prevent you from cooking within the danger zone, it is still best to pay close attention. Another aspect of food safety is pasteurization. The best way to be sure you are cooking any bacteria out of the meat is by cooking them at a certain temperature. However, these guidelines are set for millions of people who are supposedly cooking daily. The guidelines originated to ensure that food must hit a certain peak of temperature to pass the test. You don&apos;t have to keep the meat at that temperature all of the time, it only has to pass that threshold in order to pass. The best part of a sous vide dish is a lovely, seared taste at the end. To produce this, sear the meat in a hot pan, on the grill, with a torch or deep fry it; whatever option is easiest for you. This adds a nice crispy, flavorful layer on the outside of your meat that sous vide cannot accomplish on its own. Don&apos;t forget to add salt and pepper, and any spices or herbs you have on hand to make your sous vide a surefire hit. Sous vide can be as fancy or as relaxed as you want it to be. For some reason, people connect preparation time with amount of effort, and that&apos;s not necessarily true. Once you understand how sous vide works, it can be easily incorporated into your weekly dinner night meals, and leftovers can be eaten for days after, too. To start with sous vide, all you need is a little effort, some creativity and these simple instructions set out for you. Like any new cooking experience, there are likely to be some hiccups or learning experiences along the way, but in the end sous vide is worth every moment of effort.